While all the diving around Cairns is special, two Cairns based Liveaboards offer some diving expeditions that goes beyond the word special. Year round the Spirit of Freedom and Mike Ball’s Spoilsport offer week long diving expeditions to the Ribbon Reefs and out to the Osprey reef. In addition to these trips they have some additional special expeditions that can provide a once in a lifetime experience. The Ribbon Reefs are a series of almost unbroken reef that stretch for about 55 miles. Starting at a point about 100 miles north of Cairns and reaching to Lizard Island National Park, the reefs offer a wide range of diving opportunities. These reefs are narrower than the average barrier reef and longer, just 10 reefs make up this chain. In places the reefs reach the surface. In front of the reefs are the continental shelf with steep drop offs to a 1,000 meters in most places. Behind the reef is a lagoon, less than 30 meters deep with a shattering of patch reefs and bommie. Between the reefs are narrow openings leading to the lagoon. Some of these opening are too small for larger boats. The opening provide a channel for the large pelagic to pass into the shallow waters and make for excellent drift dives with the tide changes for experienced divers. The famous cod hole dive site is located on ribbon Reef #10. The Ribbon Reefs are remote and unspoiled. Beyond the range of day dive boats they are not frequently dived, still a number of different dive sites such as Cod Hole, Cod Wall, Steve’s Bommie, Pinnacle and Lighthouse bommie often make list of the best dive sites in the world. Challenger Bay is considered one of the best night dive sites in the world. The Osprey Reef is a Coral Sea Reef. 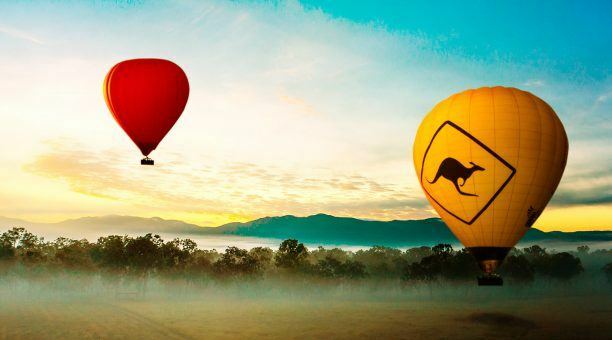 It is located about another 130 kms past the Great Barrier Reef. Osprey is the top of a submerged mountain range. A reef has formed on the slopes of the mountain and at the top has formed into an atoll. This mountain top covers 348 km2. The central lagoon is about 8km at its widest point and is 25 km long. Many portions are less than 10 meters deep. The rim of the reef is around 500 meters wide and mostly just a few meters below the surface. Leaving the mountain top atoll divers can proceed down the slopes. These slopes are abundant in Giant sea fans and large corals. There are also numerous tunnels and caves. Around 30 to 40 meters the slope disappears and the wall becomes vertical for as far as can be seen. Being the only reef in over 100 kilometers, all sort of marine life stops by the reef. Many species not normally seen on any reef can be found on the slopes of Osprey. The North Horn of Osprey is noted for the varied and number of sharks who gather there. 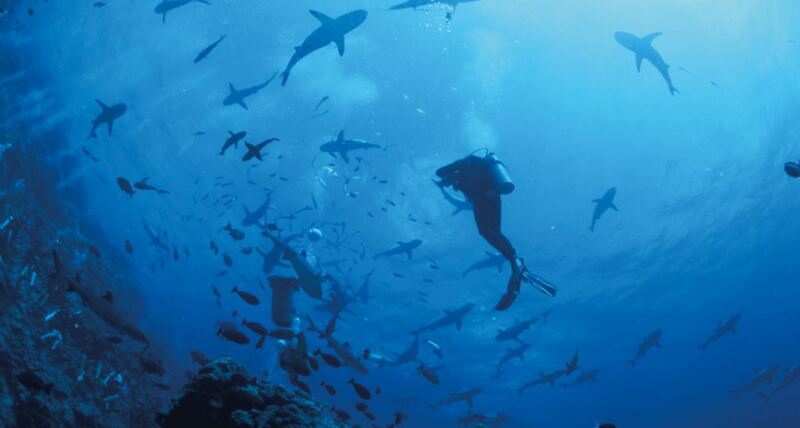 Because of this variety and density it is a major shark research destination. Three times a year, in support of the Central Queensland University, the Spoilsport assists in a research project studying Nautilus. 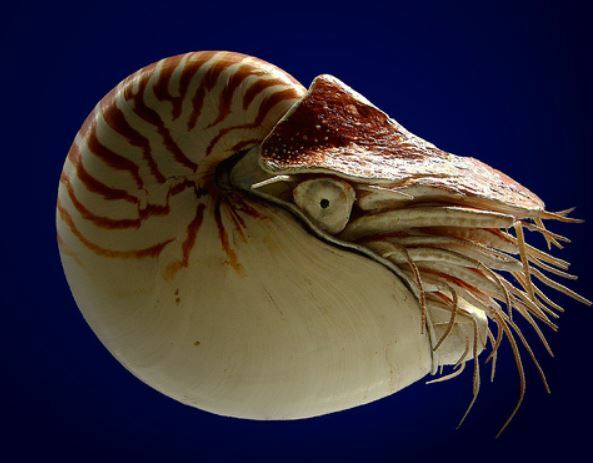 The Nautilus is considered a living fossil by scientist believing it has changed little since the Jurassic era. They generally live at depths between 150 and 400 meters, they are known to come above the 150 meter mark periodically. One of the attributes of the Osprey reef is that it draws pelagic species into waters shallower than they are normally found. The Osprey reef is one of the few places where they can be found in diving range. Divers involved in the project sets traps for the Nautilus and retrieve the traps the next day. The Nautilus is tagged and studied before being released back into the wild. For those interested in Marine biology or these living fossils this is a amazing opportunity. This expedition follows the itinerary of the ribbon Reef and Osprey reef trips and can be taken in the 4 or 7 day programs. As with the other trips visiting the Osprey reef, this trip is for experienced divers. There are five of these trips each year. The Ultimate Minke Whale Expedition is a week long program in support of the James Cook University Minke MWP (Minke Whale Project). The Dwarf Minke Whale is one of the least understood of the whales. While their arrival in the Great Barrier Reef each year is predictable, where they go after they depart is unknown. The MWP is studying these whales and their behaviors. Divers wishing to participate can attend lectures and briefings on the Minke whales and record their observations while snorkeling with the whales. This 7 day trip does not visit Osprey reef spending the additional time in the upper Ribbon Reefs the best place to find these whales. Once a year Mike Ball Hosts a special trip. It includes the Snorkeling with Dwarf Minke Whales and the MWP as well as the Nautilus project on the Osprey reef. Divers are exposed to two very important research projects and have the opportunity to assist in both. A special expedition set for early in 2015,to the Osprey Reef. Shark photographer Damien Siviero will be aboard for this expedition. He will hold seminars and lead photographic dives at the best shark diving sites. Learn how to photograph sharks and other large predators from one of the best in the industry. 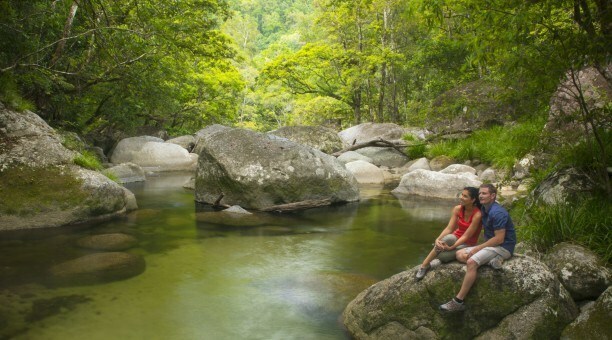 The Cape York Peninsula is the farthest northern portion of the country and lightly populated. The Great Barrier Reef in this area is seldom dived even less than the Ribbon and Osprey Reefs. There are no frequent Liveaboards in the area. Both Spirit of Freedom and the Spoilsport make a few very special journeys to these reefs. Divers can expect some of the most pristine reefs in the world and a marine population that is abundant. The Far North Expeditions are two back to back seven day trips. The seven day voyage includes some of the best dive sites in the far north including Tijou Reef/ Black Rock region, Great Detached Reef region, Raine Island region, Moulter Cay/Shark Pass region and Mantis Reef region. The Spirit of Freedom sails from Cairns to the dive areas mention and then to the airstrip at the small town of Lockhart River for a flight back to Cairns. Divers for the second leg will join at Lockhart river for the trip back. In the areas mentioned there are hundreds of reefs that have never been explored. Some of the dives will be exploratory dives at reefs never dived before by the Spirit. Raine Island is a protected area as it is the largest breeding grounds of green turtles in the world. During breeding season thousands of turtles return to the island to lay eggs. A trip similar to the one of Spirit of Freedom except it ends at Thursday island in the Torres Straits. A seven day trip in and out of Cairns that includes the Osprey Reef, Ribbon Reef and the Northern Reef sites: Black Rocks and Tijou Reefs. So if you are looking for something none of your dive buddies have tried, I am sure one of these will fit.